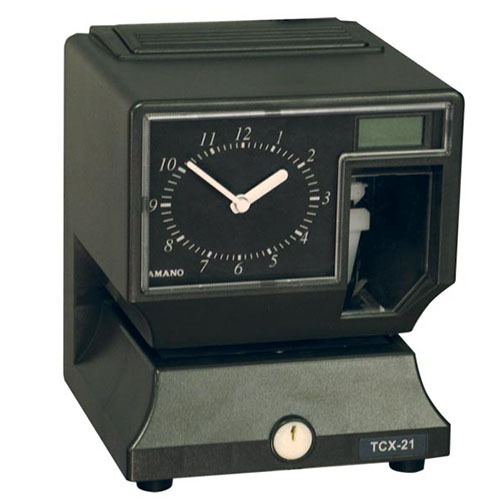 Engineered for value, simplicity and durability, the TCX-21 is the optimal choice for mechanical time clocks. This cost-effective electronic time clock delivers quartz clock accuracy and illuminated print window for easy card alignment. An electronic cost and payroll recorder with analog clock… a heavy-duty, automatic side printer. Ideal payroll time recorder for smaller groups of employees.